The Reformers sought not to overthrow existing church traditions but rather to bring them back to their pure states. As a result, the orders of worship Lutheran churches use today are strikingly similar to the ones Roman Catholic churches use. 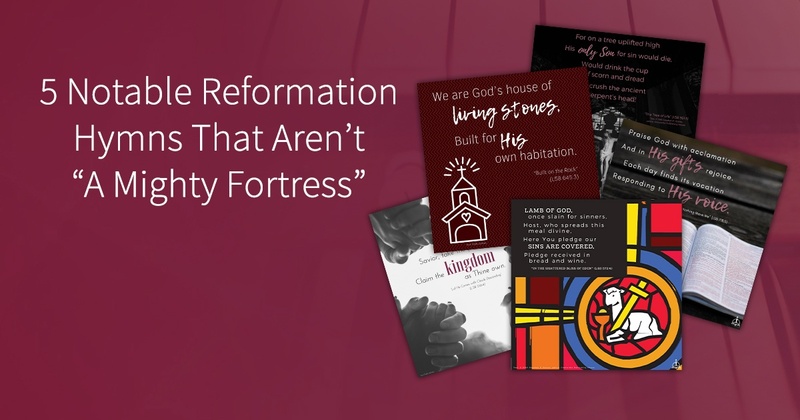 Here’s an overview of how worship changed during the Reformation, and why and how the Reformers did it. 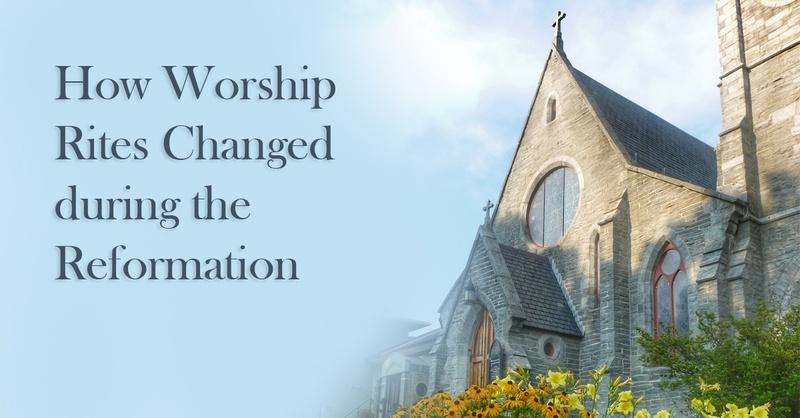 This post is adapted from Lutheranism 101: Worship by Thomas M. Winger. We also have created social media graphics with quotes from the selected hymns, and they are all shown below. At the end of the post, you can download the graphics for free and use them on your church’s social media accounts. Scripture teaches us to bring our needs daily to our Heavenly Father in Christ’s name. To help families and children understand this important truth, Martin Luther wrote two short prayers for individuals and families to use in the morning and evening before going to sleep. 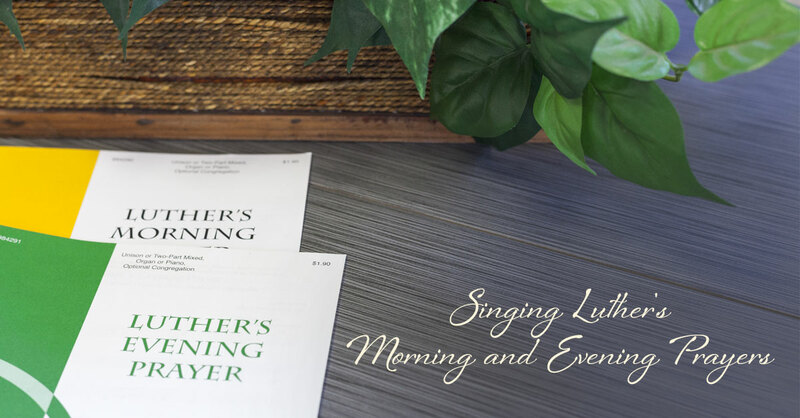 Now the simplicity and devotion of Luther’s Morning Prayer and its companion, Luther’s Evening Prayer, have been put to music by John A. Behnke. Just as it was in Luther’s day, music is still a powerful tool the Church can use to convey the importance of Christ’s saving name. Luther’s words have greatly shaped our theology and hymnody over the centuries, and they will likely continue to do so for the next half millennium. 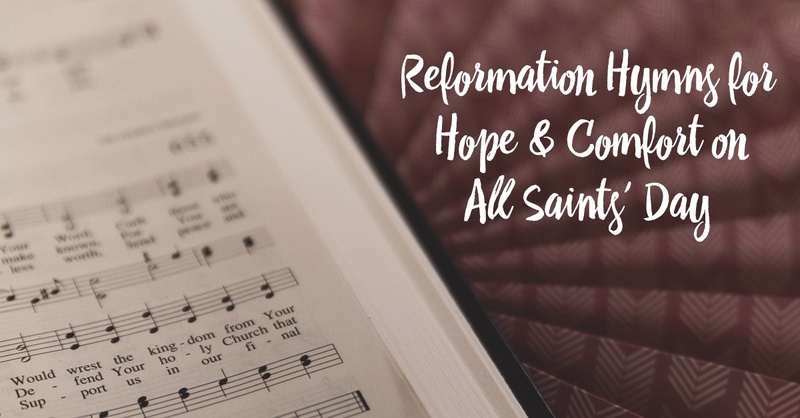 In celebration of the 500th anniversary of the Reformation, we’re taking a closer look at some of the most commonly used words in Luther’s hymns according to the English translations in The Hymns of Martin Luther. This excerpt is taken from Christian Art: Its Place and Use in Lutheran Worship by Paul E. Kretzmann. 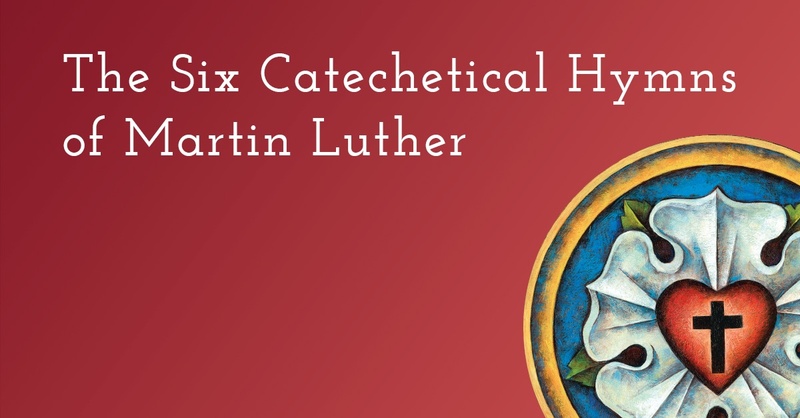 This post is taken from The Hymns of Martin Luther, with historical summaries authored by Henry V. Gerike and edited by Peter C. Reske. Music can be a powerful teaching tool, and Luther knew that well. By teaching his parishioners hymns about the Ten Commandments or the persons of the Trinity, he could reinforce Christianity’s essential teachings in a memorable and moving way. Learn about his six catechetical hymns below, and at the end of the post, you can download a set of devotions based on the hymns. What’s the legend behind the tune for “Thy Strong Word”? What influenced the writing of “Lord, Keep Us Steadfast”? 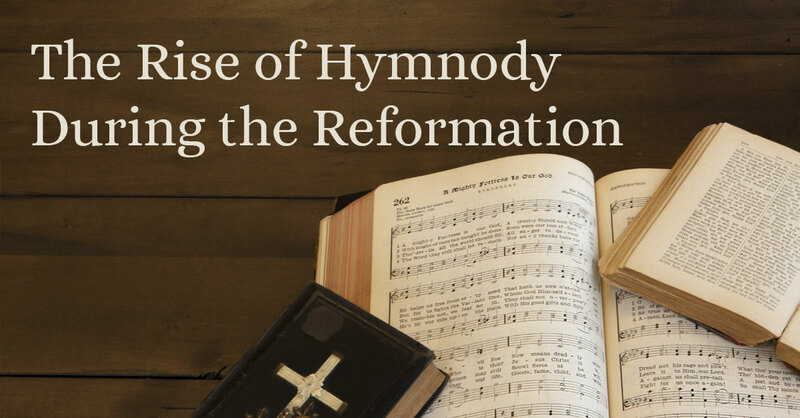 Learn these tidbits and more about some of the most well-known Reformation hymns.